How to give your husband a happy wife. When everything was stripped away, she stood. Frail. But stood just the same. God was her focus and she clung to His promises. Seeking His refuge when the world threatened to drag her down with it’s heavy chains of negativity and unmet needs. Their income was not steady, family unkind and the stress – she could feel it building up. What does a christian wife do when the happiness she once felt drifts away like an escaped balloons? The things is, happiness doesn’t come from having the right amount of cash in the bank, the perfect husband, greatest kids and accepting family. Happiness, true happiness, only comes from the Lord. It doesn’t come from your husband. It doesn’t come from the stuff you buy. It doesn’t come from your kids. It doesn’t come from your career. That is a need only to be filled by the Lord. I think, often times, we get it mixed up. That happiness is only found in another person or the right circumstances. God’s peace and joy are not attached to certain aspects of life or people. It’s to be sought after under every life situation we face. 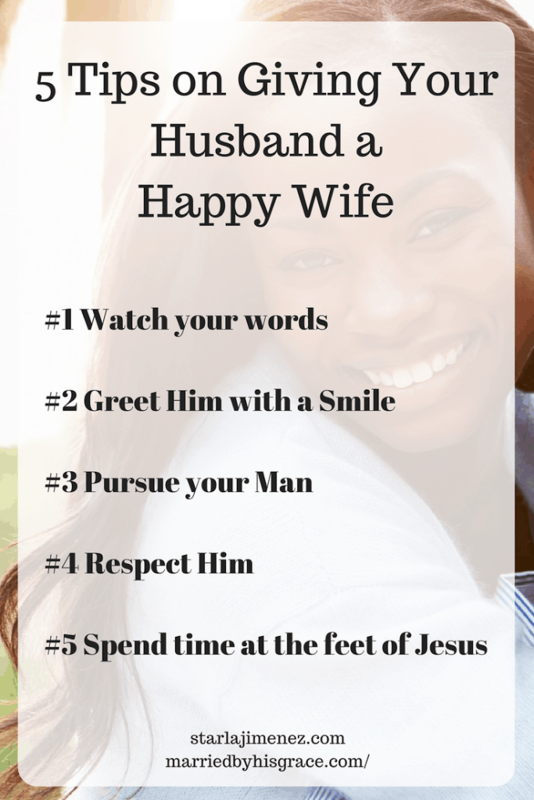 As a christian wife, we are called to be our husbands help meet, supporter, and partner in life. Lying upon his shoulders the responsibility to make you happy is not a fair expectation. Of course, marriage goes much better when both spouses are serving each other. 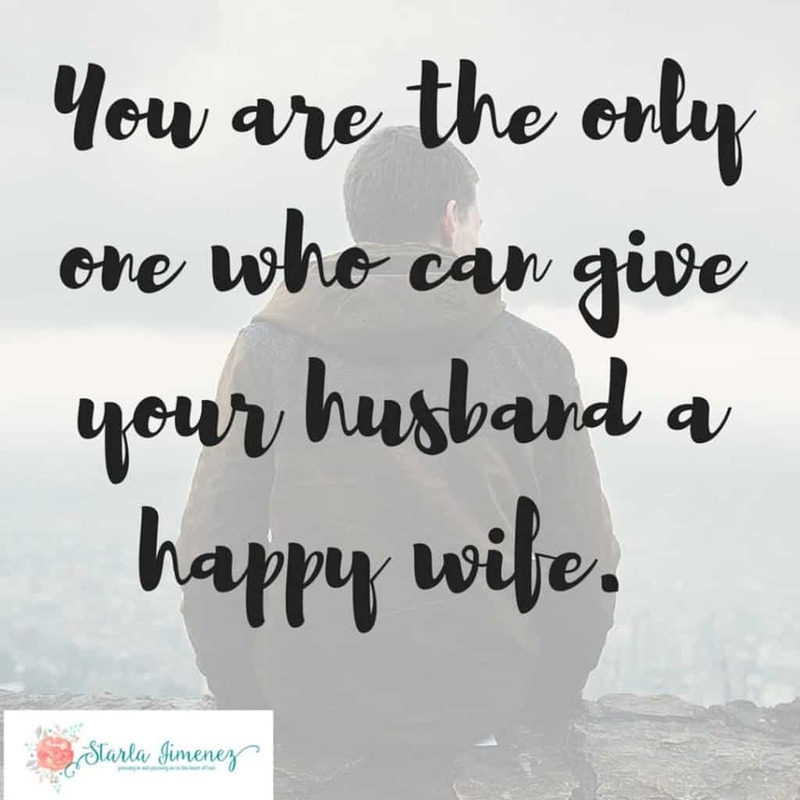 Yet, we are called to love our husbands well, even if we feel they fall short of loving us well. To read my tips click HERE.